We’re renovating our home so I’ve been spending a lot of time at Home Depot, Lowes or Rona. As a result I’m also eating out a lot more and I’m often not looking for ANOTHER burger. Luckily’s Harvey’s has launched it’s new Build a Bowl option. You can build a bowl of your choice by choosing a base, then protein and then any of their toppings. 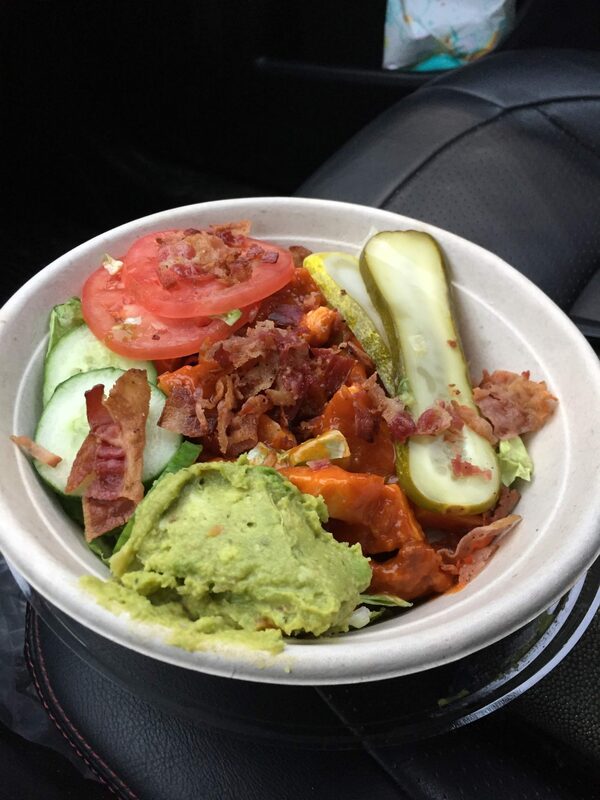 MY favourite is the buffalo chicken salad with Bacon, Pickles, Guacamole, Cucumbers and Tomatoes featured above. For a custom salad it’s pretty good value about $10 as shown. I’m hoping more restaurants pick-up on the bowl trend. Send me a Tweet if you have any other awesome bowl combinations.